I was shocked today to learn about Neuticles. I think I was shocked mostly that they existed and I didn’t know about them already. Neuticles are doggie testicle implants. You know, so your dog doesn’t feel emasculated. Riiiight. I do see the point of their existence if it means someone who wouldn’t otherwise neuter his pet (you can get them for other animals too, like cats and bulls) now has the neuter performed since he has the option to keep his pet looking intact. What I don’t understand is why anyone would care! Frankly, when I see the rare intact male dog at the park, I secretly want to slap the owner and take the dog to the low-cost clinic myself. Perhaps it’s a cultural (not necessarily ethnic) thing and I need to be more understanding. But I’m part of an animal welfare culture, and modifying a dog to represent what, to me, demonstrates irresponsible pet ownership just doesn’t make a lot of sense in my world. 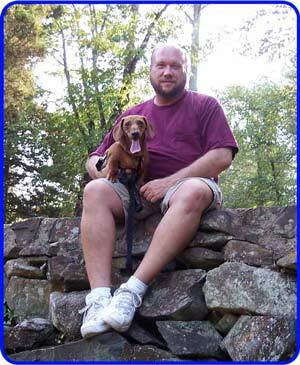 I had my standard Dachshund, Bruno, neutered six months ago using Neuticles. I am very glad that I did so. Bruno has the same look as before and I am extremely pleased with the results… Some of my friends have commended me for being a caring owner who knew the importance of maintaining Bruno’s natural look. I gladly advertise to everyone. I guess I can almost see a big guy with a rottie buying doggie implants, but a dachshund? Meanwhile, I wonder how many Neuticles users believe in a “natural look” including cropping and docking. Sorry, I don’t think I’d call the Daily Show’s endorsement an, uh, endorsement. I know we already debated this ad nauseum, but I’d rather people care too much about their pet’s well-being than not enough. I still think neuticles are crazy and the money would be better spent on supporting a local shelter. Pingback: Amy’s Gripping Commentary » How’s it hanging? Animal welfare aside for a moment, who spends that much time looking at their dog’s testicles that they notice the existance or lack of testicles. If the dog’s owner is spending all day looking at their pet’s balls there are clearly other problems at hand.